It’s been another turbulent year in the UK regional press with editors coming and going and newspapers launching and closing. The year saw several of the industry’s biggest names bowing out including Peter Barron, who stepped down after 17 years as editor of the Northern Echo, and Eastern Daily Press boss Nigel Pickover, left, who retired at Christmas. The industry also bade farewell to the Nuneaton Tribune, Crawley News, Northants Herald & Post, OneMK, Luton on Sunday, the Driffield Post and Times and Beverley Guardian among other weekly titles. But in their place, new green shoots were emerging, most notably in the two big university cities, with the launch of Taylor Newspapers’ The Oxford Paper and Iliffe’s Cambridge Independent. Among the year’s most significant developments were the entry of two established regional players into the national newspaper market. Johnston Press’s purchase of the i newspaper from Yevgeny Lebedev coincided with a drive to divest itself of some of its regional portfolio, resulting in the eventual sale of 13 weeklies in the East of England and three in the Isle of Man. Meanwhile Archant’s The New European, initially launched as a four-edition ‘pop-up’ to cater for the 48pc of people who voted to stay in the European Union, appears to have found a more lasting niche in the marketplace. Others had less success. The CN Group attempted to launch a new ‘national newspaper for the North’ with 24, but like Trinity Mirror’s ‘New Day’, it was to last only a few weeks. The ramifications of TM’s £220m purchase of Local World at the end of 2015 continued, with the gradual integration of the LW titles within its regional operations. Among other things, this entailed the streamlining of LW’s former network of newspaper companion websites into new, county-wide online portals such as Somerset Live, Kent Live and Essex Live. Elsewhere both Archant and the CN Group unveiled newsroom transformations which involved the loss of a number of existing roles alongside the creation of new ones. However Newsquest’s attempts to secure a sustainable future for its free newspaper titles in South London by creating a single, more streamlined editorial team led to two weeks of strike action by the National Union of Jounalists. New arrivals included Nancy Fielder (The Star, Sheffield), Dave Bartlett (Cambridge News), George Oliver (Leicester Mercury), Brad Jones (Ipswich Star), Graeme Smith (The Herald) and Gavin Thompson (WDP). 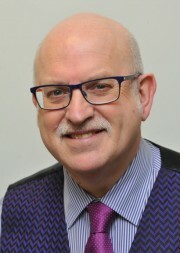 In other changes, Paul Rowland, editor of website Wales Online, was additionally made editor-in-chief of its sister print titles, Steve Hall returned to the editor’s chair at the Derby Telegraph, and Don Martin quit DC Thomson to return to Newsquest as its Scottish editor-in-chief. Maybe an attempt to improve quality wouldn’t be a bad idea. Some papers are dire and overpriced, and accountants wonder why circulations are falling.